Rebecca Gober has thirteen years experience in upper level management, sales, marketing, and business relations. She has a history of finding ways to market outside the box and a passion for social media marketing and customer relations. She's not afraid to take risks and doesn't believe in the word impossible. Since entering the publishing world in 2011, Rebecca has co-authored seven young adult novels and has since gone on to open Clean Teen Publishing. Rebecca is continually working hard to make new strides in the Indie publishing world. Marya Heiman has ten years of experience in customer relations and creative design. In 2011, Marya entered the publishing world when a friend asked for her help in designing their book cover. Soon, she found that she had a knack for image manipulation and an eye for bringing multiple elements together to create a visually stunning cover. Marya decided to do what she loved and began freelancing as a cover designer, and later went on to open Clean Teen Publishing. Marya was recently honored with a RONE Award for one of her covers and has received numerous other accolades for her gorgeous designs. Marya believes that people do judge a book by its cover and she's determined to make the Indie publishing world a more beautiful place, one cover at a time. ﻿Melanie Newton is our social media trailblazer. A self confessed twitter spammer and completely #HastTag addicted when Melanie isn't fighting the ever changing algorithms on Facebook she is usually rummaging through our submissions looking for the next best seller. Reading is her superpower and she even has a necklace to prove it! The hostess with the mostess Melanie loves a good facebook party and she always says the party doesn't start until she gets there..... Probably because she is the one organizing it. Sherry Ficklin is a YA author and co-host of Curvy Writer Radio. She loves reading helping new authors find their niche in the marketplace. Her reading preferences are YA, mystery, romance, and paranormal, but she's always looking for the next knock-your-socks-off novel and believes that, trends be damned, there is always a market for awesome books. With a professional history of quality control and proofreading, Kelly is pleased to join the Clean Teen Publishing editing team where she helps to polish manuscripts and make them shine. When she’s not reading or writing, she can be found catching a movie, scanning the clearance racks for an amazing deal, or working on craft projects. Her favorite genres are paranormal and fantasy, but she’s seldom met a book she doesn’t like. Lauren has three children that are her life, but she does pretend to be an academic by going to St. Mary-of-the-Woods College for Journalism/Media Studies. There is no such thing as too many books, and she always has a backup copy of them on her Kindle. She does have plenty of hard copies in case of the Zombie Apocalypes. She has a freak obsession with television crime dramas, and until she actually enrolled in college she planned on becoming a Forensic Psychologist. Her motto is, "Always have a backup plan for your backup plan." Sandra (Sandy) Salinas works in the medical field in South Florida, but she is an avid reader when not hurting (healing) people. She has been known to forgo sleep to finish a good story, and to stalk her favorite authors at book events and on social media. She loves her Kindle and her Nook, but still harbors a fondness for the growing bookshelf of signed books she shares with her grown daughter. 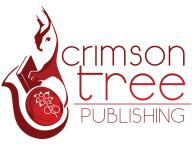 She loves to support authors, aspiring and entrenched, indie and traditionally published. Her favorite stories are paranormal, dystopian, and sci-fi, although she will read just about everything. She likes to time travel, ride mystical creatures, and sip green Andorian ale.